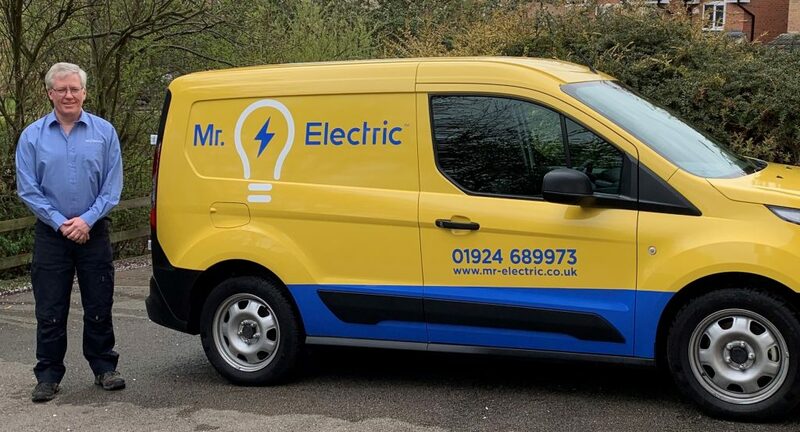 Banbury, UK (2 April 2019) – With over three decades of experience in the electrical industry, Grant Bolger has started on a new journey by making the switch from corporate life to a world of entrepreneurship, with the launch of a Mr. Electric® franchise business covering Wakefield and its surrounding areas. The new office, which is based in Wakefield, started trading on 1ST April 2019 and will provide electrical solutions for homes and businesses in all aspects of electrical repair, installation and energy saving, including electric vehicle car-charging points. For further information about Mr. Electric and the services it offers, visit www.mr-electric.co.uk/west-yorkshire/wakefield or call 01924 883 514. Neighborly is a holding company of 22 service brands, focused on repairing, maintaining and enhancing consumers’ homes and businesses. The company operates online platforms that connect consumers to service providers in their local communities that meet their rigorous standards as a franchisor across 15 service categories atwww.getneighborly.com in the United States and www.getneighbourly.ca in Canada. The company was founded in 1981 as Dwyer Group and is based in Waco, Texas. More information about Neighborly/Neighbourly, and its franchise concepts, is available at https://www.neighborlybrands.com/.